With its base of 173 million daily users, Snapchat has become an effective tool for businesses. Brands can promote themselves through ads, Snapchat Stories, geofilters and sponsored lenses. Recently, Snapchat has implemented analytics tools for verified accounts and influencers. Influencers can access detailed stats that break down audience demographics and engagement. This is a handy tool that allows brands to understand their audiences. Brands can tailor their content more effectively, seeing precisely what works and what doesn’t. Snapchat’s Snap Maps feature isn’t entirely brand new – it debuted on the app last year – but it’s finally available on the web as of February 2018. Snap Maps allows users to broadcast their locations on an interactive map, accompanied with photos and videos. Snap Maps has been utilized during Hurricane Harvey, the Pyeongchang Olympics, and even high school gun control protests. Brands can take advantage of Snap Maps’ real time, visual appeal by posting during concentrated events like conventions, marathons and festivals. Brands can encourage audiences to participate and share their own content. On February 1, Snapchat set up an in-app merchandise store named Snap Store. Users can buy products through the Snap Store. The initial launch solely featured Snapchat merch, like a Dancing Hot Dog Plushie or a Dog Lens t-shirt. However, Snapchat recently partnered with Nike during NBA All-Star Weekend. Nike released its new Air Jordan “Tinker” shoe on the Snap Store. Users who attended the All-Star after party scanned a Snapcode, which linked them to the Snap Store. The sneakers sold out after 23 minutes. The Snap Store represents a large amount of potential. 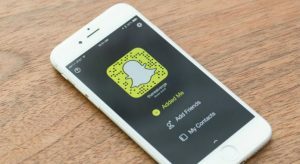 Snapchat can access billing/shipping information to gather more data on its users, and use that to improve targeted advertising. Snapchat has taken a step forward in the e-commerce industry, allowing them to tap into its young, active user base. 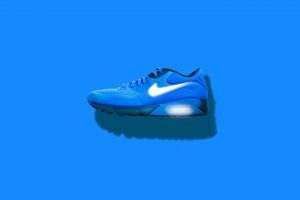 The Nike promotion was a clear success, and in the future, other brands may have opportunities to promote products on the Snap Store. This is definitely a feature to keep an eye on. Facebook is still the king of social media sites. Facebook serves as a hub for news, content and ads. 95.8 percent of social media marketers state that Facebook produces the best return on investment than any other platform. Facebook’s new features is called Lists. Users can create and share lists – Top 10 lists, to-do lists, and so on. Users can decorate Lists with color backgrounds and add emojis. Facebook’s Lists is another tool that brands can use to spice up their content. What are some lists that you think would appeal to your followers? Twitter, Facebook and Tumblr all have options to retweet, reshare or reblog other users’ posts. Instagram lacks that option. Users instead go through the awkward process of screenshotting other posts or using third-party apps. To rectify this issue, Instagram has been testing a reshare feature. This feature allows Instagram users to share public posts to their Stories, with the original poster’s username credited. The original poster is notified about the resharing. Users can turn off this feature if they want to prevent their posts from being reshared. While this has yet to fully debut, Instagram resharing is definitely a useful one. Instagram users will be able to do something they never were able to do before. 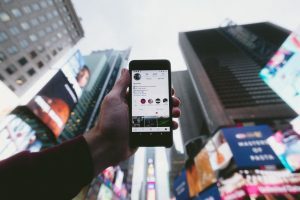 Instagram resharing would allow brands and influencers to expand the reach of their posts and ads. Hopefully, it’ll be roll out soon. What is Social Advertising? 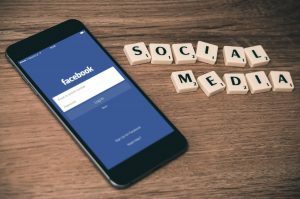 The New Facebook Algorithm 2018: What Does This Mean For My Business?